Happy Tuesday! We're getting ready for another (insert whining here) S-N-O-W-S-T-O-R-M here in New England. Most of us are ready for SPRING! 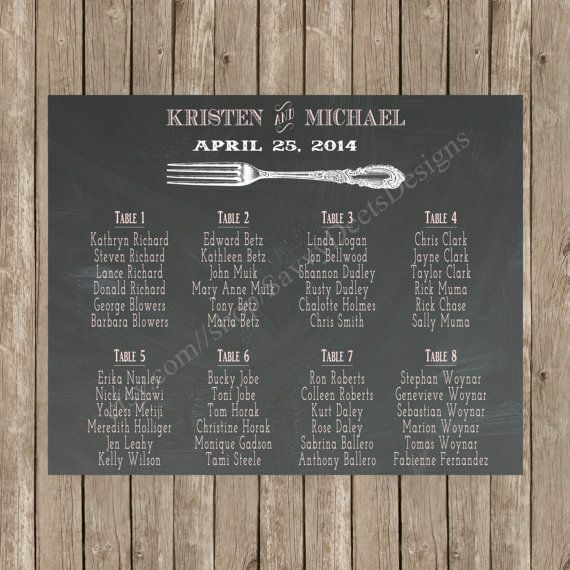 And because of that, we are featuring some of our favorite ways to use blackboard or chalkboard at a wedding. 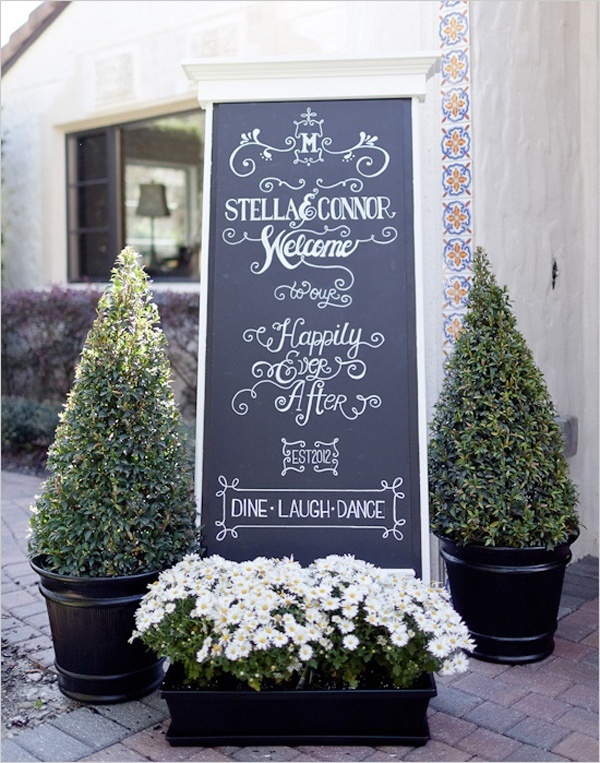 There is something about using chalkboard or blackboard that immediately makes the event whimsical or not as serious. Why? I have no idea but we are happy to share some of our favorite images here! 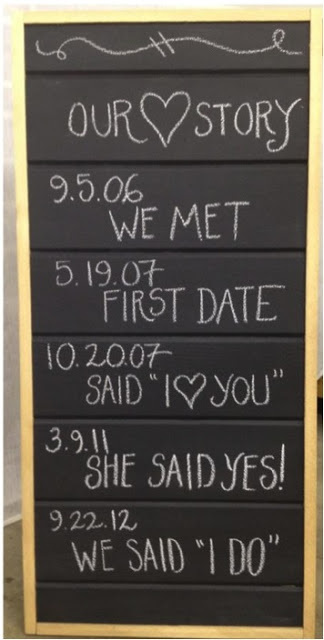 The timeline/love story board is so cute! We think it would be great set up near a ceremony. This is a great printable that is available via Etsy. This is also a DIY printable available in white or black! This is the cutest photo backdrop for a wedding! 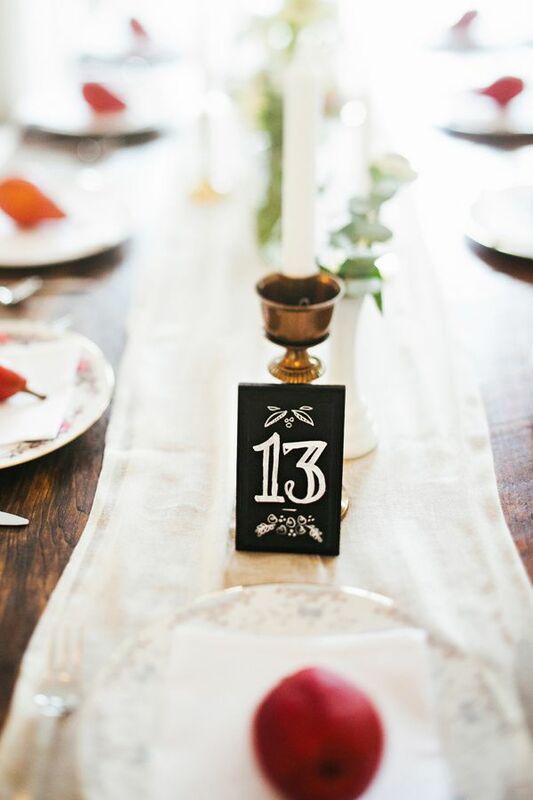 These charming petite table numbers stand out and are noticable but not overpowering on a table. This sign is elegant and whimsical all at the same time! Another DIY printable that has rustic charm! We love sweets and this sign for wedding desserts takes the cake! Dear Donna: Should I have a Wedding Website?